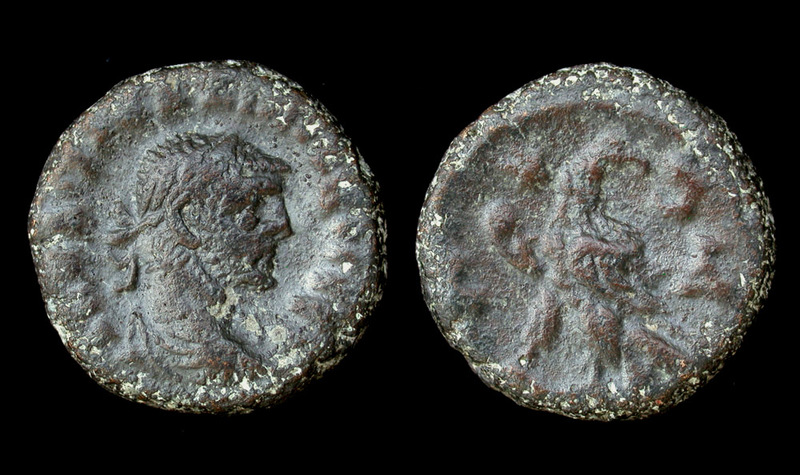 Roman Egypt, Maximianus Æ Potin Tetradrachm of Alexandria. Dated Year 4 = 289-290 AD. Obv/ A K M A OVA MAΞIMIANOC CEB; laureate, draped and cuirassed bust right. Rev/ L-Δ; eagle looking r., holdind wreath in beak; star in l. field.